NATICK, Mass. -- Natick Soldiers were happy to spend time listening and learning from eight local area veterans who have served proudly. 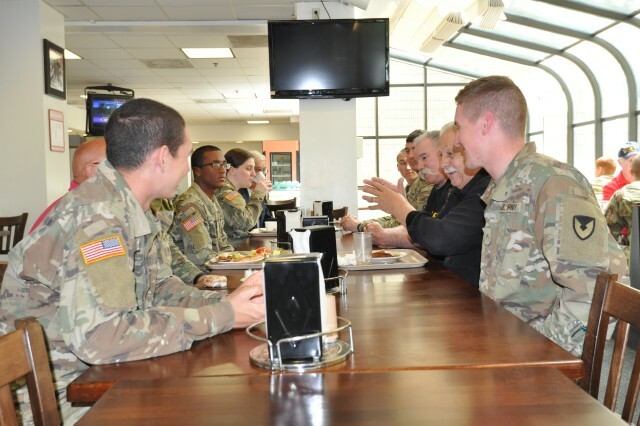 The hard work and dedication of the all those who fought and laid the ground work for what we now know as the modern military at the Natick Dining Facility, Friday, May 18. 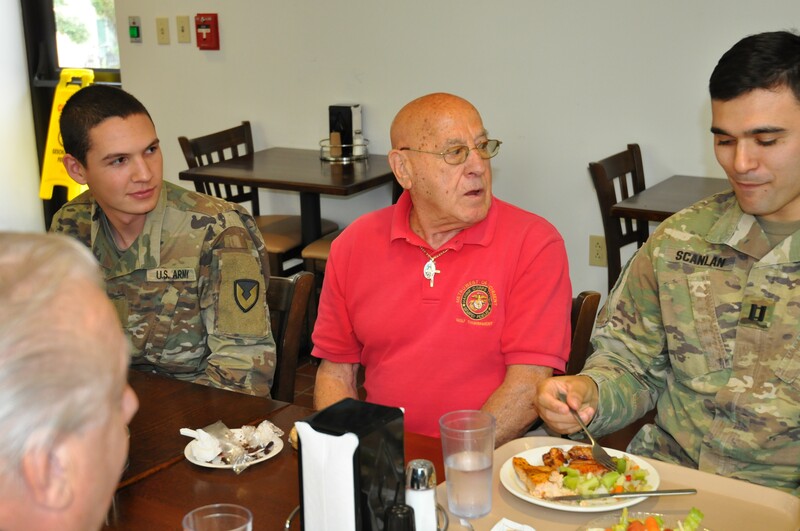 Lt. Col. Bryan Martin, USAG-Natick garrison commander hosted the luncheon as a way to thank the veterans for all they have done and to show appreciation for the strong and steadfast dedication and loyalty they continue to show our Soldiers every day. "It's important to spend time with the men and women who served before us," said Martin. 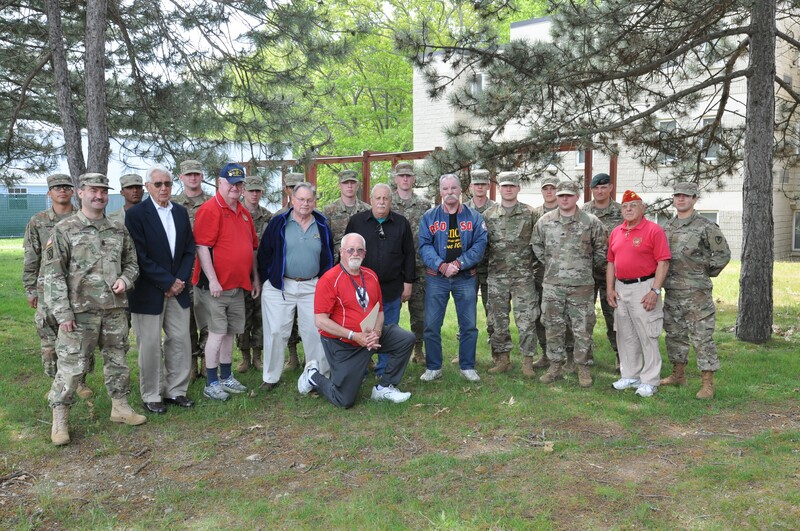 "These Soldiers are the future veterans and now have a standard to show, share and teach all who come after them," said Paul Carew, a Marine veteran and Natick's Veterans Service Officer of over eight years. Both Soldiers and veterans are honored to have this time share experiences with one another. "Recognizing these dedicated individuals is an honor," Carew said. "Day in and day out, veterans provide immeasurable honor and loyal to our great nation. I'm proud we can recognize them for their outstanding support to the soldiers and their families." The luncheon is the kickoff event for Armed Forces Day Weekend. It is a busy week for the Carew as he prepares for the upcoming Memorial Day event. This marks the eighth year for the Armed Forces Luncheon. 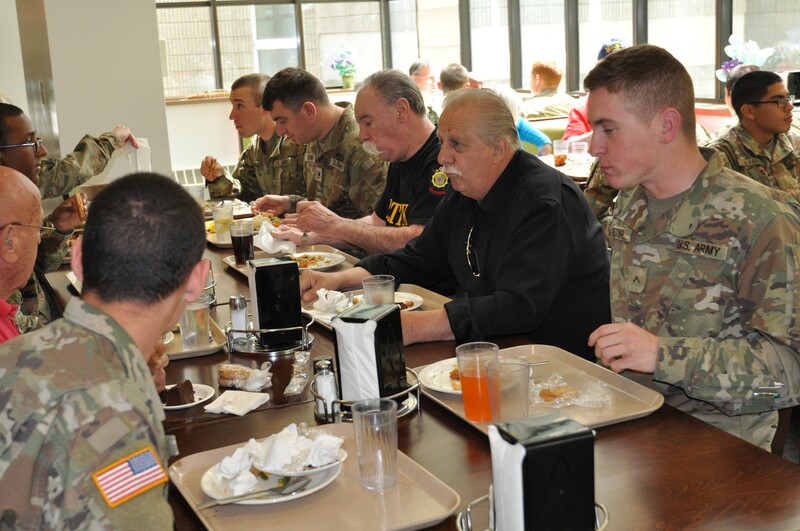 The Soldiers and veterans look forward to the experience again next year. "No matter what, I'll never be too busy to care for Soldiers and their families. They're the reason I do what I do," said Carew. "This is what I needed when I returned from Vietnam. At least, now I know that the current and future Soldiers will have the support and care as long as I am able. They are the backbone of what this country stands for." "The veterans are a walking history that current soldiers need to tap in to," said Martin. 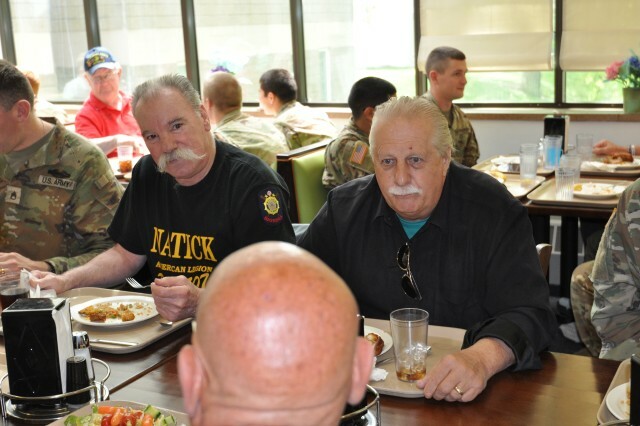 "This luncheon is a small token of appreciation and honor to show these veterans. We owe them for what we have now."